Plus the Russian hybrid, a fertile but not naturally occuring hybrid between P. cambelli and P. sungorus. Over the years I have kept all of the above with the exception of purebred Campbell’s (now considered pretty rare in captivity as hybrids are so prevalent). I enjoy keeping Syrians and Chinese hamsters the most, however dwarfs (Phodopus sp.) have their merits too. 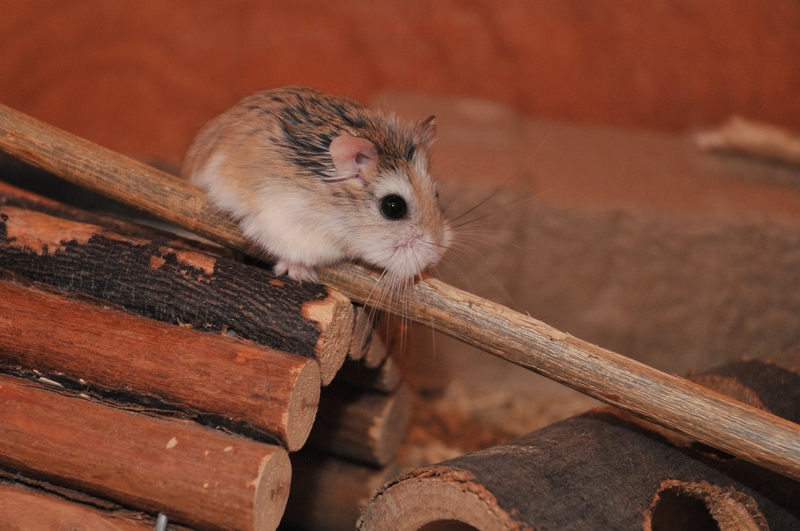 Roborovski desert hamsters (Phodopus roborovskii), or robos as they are more commonly known in pet circles, are the smallest species of dwarf hamster. They are endemic to the sandy desert and semi-desert regions of Kazakhstan, Russia, Mongolia, and northern China [map of their wild range]. I currently (Nov ’15) only have one hamster, a robo. He came to live with me on the 19th of August having spent 5 months living in a PAH adoption section. Will the various species end up sharing a page? Oh the anticipation.